Researchers at MIT and Harvard University have made new progress in visual recognition. They have demonstrated a way to build better artificial visual systems using non-traditional and low cost supercomputing tools like modern graphics hardware. They try to understand and simulate the human visual system (one of the experiences they did, is to accurately identify a range of objects on random natural backgrounds with variation in position, scale, and rotation). 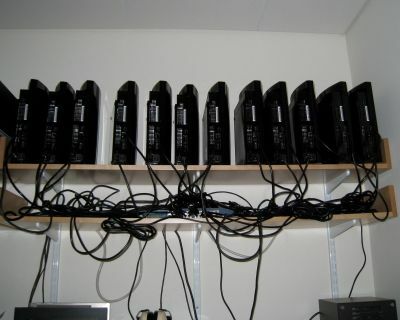 They used two kind of gaming hardware to speed up the visual cortex simulation: a cluster of 23 PlayStation 3 (IBM Cell Processor with 8 cores) and a supercomputer with 16 NVIDIA GPUs. They used a Linux-based system (Ubuntu) and NVIDIA GPUs have been programmed with PyCUDA, a Python wrapper for CUDA (OpenCL has its Python wrapper too, see PyOpenCL). A High-Throughput Screening Approach to Discovering Good Forms of Biologically Inspired Visual Representation. 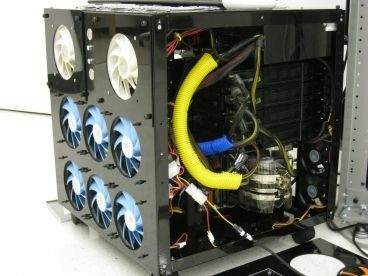 Which remains unclear is what kind of NVIDIA cards are used today in this 16 GPUs supercomputer. 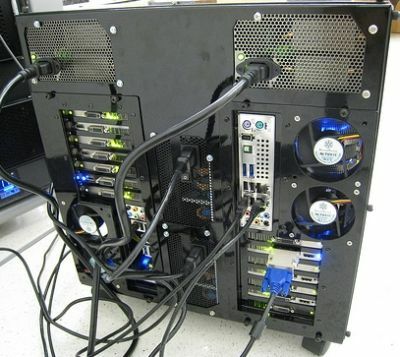 The images of the 16 GPUs monster (shot in 2008, see here) show 8 x NVIDIA GeForce 9800 GX2 (two MSI motherboards have been used). In the complete research article, they talk about performance with GeForce GTX 280. But the GTX 280 has only one GPU. So maybe today, the height 9800 GX2 have been replaced by height GeForce GTX 295.